Why should you avoid free blogging platform? How to buy a Domain Name and Web Hosting? How to Create Posts in WordPress? How to Create Pages in WordPress? How to add pages in Menus? How to start a blog? 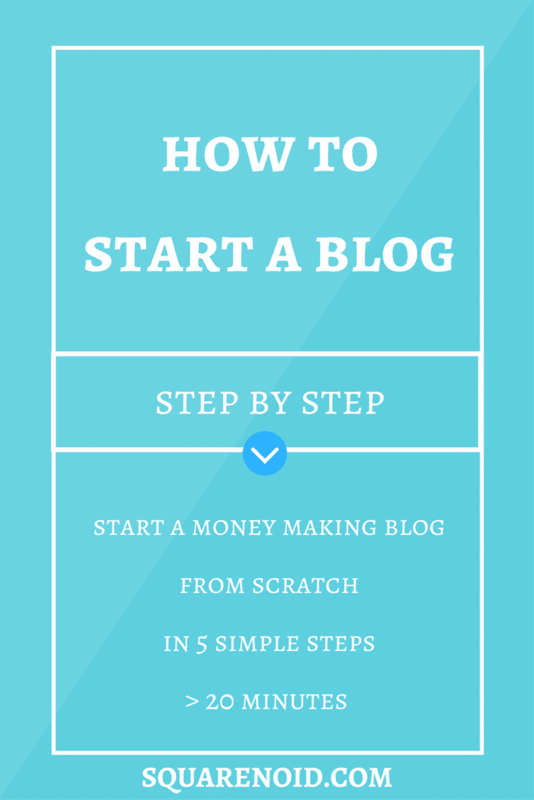 If you want to know how to start a blog or website, you’ve come to the right place. Setting up a blog is easier than ever. There won’t be any technical skills required to set up a blog. Just follow this easy Step-By-Step guide to learn how to start a blog in 5 simple steps in almost less than 20 minutes. In this post, I’ll outline exactly how I’ve built most of my own sites. With these steps, you can create a blog, a website or a combination of the two. This guide requires no technical knowledge and has helped countless others get started too. I guarantee no matter what your skill level or age you will be able to start your blog in as little as 20 minutes! You’re here to make a blog, have you ever thought that it can improve or completely change your life, wondering how? So before starting out, I’ll like to give you some reasons to start you blog today (which you might not have thought about). Become a Better Writer: Practice makes perfect, and blogging gives you the platform to sharpen your writing skills to perfection. Make Some Serious Money: Successful bloggers bring in all kinds of income from their blogs. Whether they sell ad space, promote products, or sell their own services, there’s money to be made! 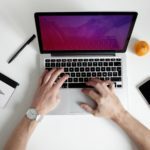 Blogging Opens up New Opportunities: Sometimes it’s a great mention on your resume, and other times it helps you get hired for consulting or writing services, but either way, it benefits your career. Total Control, Total Freedom: Your blog is a business that you own and it makes you the boss. Work when you want, how you want, and control every aspect of your life. Anyone Can Do It: You don’t have to be a scientist or an engineer. Anyone can blog, even if they’re not a writer. Create your dream website today and share your passion with the world. 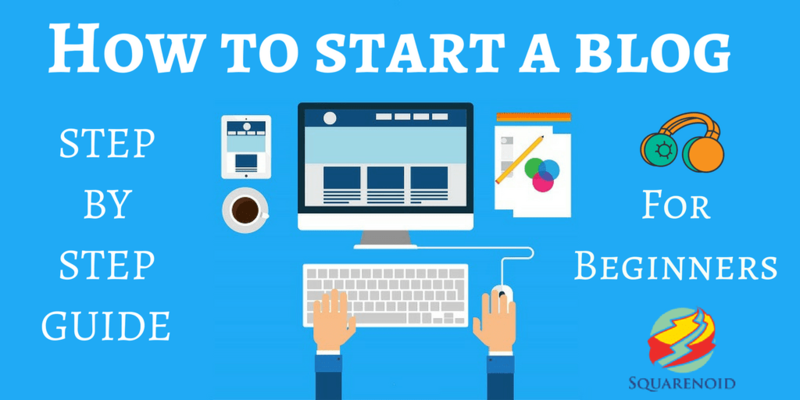 So, let’s get started to follow this easy Step-By-Step Guide to learn how to start a blog. Shortcut : If you immediately want to setup your blog then Click Here (takes you to step 3). But if you are absolute new, I would recommend going through the entire tutorial. The first step in starting a blog is selecting a topic to write about. Note: If you’ve already figured out what you’ll be blogging about, you can skip this step and continue to Step 2. Think about topics you’re passionate about and start from there. Once you’ve picked a topic, you’re ready to start your blog! When I first started out blogging, I was very interested in computers, gaming and internet tricks, so that’s what I chose to write about. Starting a blog around a topic you’re not interested in doesn’t make much sense. It’s a lot easier to blog about subjects you have a passion for. Being passionate about a specific area or industry is great, especially if it’s one you’ve been interested in for an extensive period of time because it makes you an expert about that topic. Choosing a topic for your blog that you are familiar with is important. Don’t worry if you don’t know what topic you’d like to start a blog about, though. Writing about your day-to-day activities or writing about your hobbies can be a great way to connect with your readers. Wondering how to start a blog that’s both appealing to your readers and something you enjoy writing about at the same time? Share the latest celebrity gossip, TV/movie/music reviews, or just things you find humorous. People are always interested in these topics. Write about the video games you play, review them, and preview ones that are coming out. Your opinion matters, so tell the world what you think! Create an online store and earn money by selling your products online. Some big examples of E-commerce websites are Amazon, eBay etc. I’ve written a guide on how to start an online store. Share recipes, review restaurants, talk about the weird kinds of food in the world today, whatever strikes your fancy. Sometimes it can be hard to come up with interesting personal stories when there’s not much exciting going on in our lives. So why not share your ideas or opinions about a particular subject, instead? You are a business professional or student who wants a website to display your skills, qualifications, and contact information – You can even connect it to your social media accounts! If clothes and shoes excite you, a fashion blog might be the perfect fit. People all over the world are interested in fashion and blogging about these popular trends can bring loads of visitors to your site. Are you a wanderlust? Share your experiences with the world! People flock to those that dare to travel or provide tips on how to travel on a budget. Whether it’s an established brand or a burgeoning concept, you can promote your company through a blog and fill it with content from guest authors to promote your brand. If you’re handy around the house, or you at least know how to build something from scratch. These have become wildly popular and can be great in conjunction with visual sites like Pinterest for getting visitors to your blog. Or, create your own blogging topic! OK, so now you have some idea of what topics are good to start a blog or website around. Let’s move on to the next step. Now, before starting this guide I said that there will be no technical skills required. So, we’ll choose a blogging platform. Don’t worry we’ll choose the most powerful and popular blogging platform. Note: If you don’t need to know the difference and you already know a Self-Hosted Blog is good for you then go ahead and skip to Step 3. But, how to start a blog that’s right for you. I don’t know any coding stuff, where should I create my blog? WordPress is an open source software website creation tool. It gives you tons of options for plugins and full control to completely customize your blog. The majority of blogs you see online are self-hosted WordPress websites. In fact, this blogging platform is so popular that it comprises more than 28% of all website on the internet & more than 58% of all CMS platforms. Considering now there are over 1 billion websites on the internet. That’s huge! If you really want to start a successful blog It should be your top priority to select the correct and best blogging platform from the beginning. The above image (an approximate estimated usage) shows the usage of blogging platforms. It’s clear that most of the bloggers (58% +) go with WordPress, something that I highly recommend you doing as well. There are tens of thousands of different layouts to choose from. It’s easy to create blog posts, add images and install plugins without knowing any HTML. You can easily make custom menus and categorize your posts. Your readers can comment on your posts and share them. There are thousands of plugins to choose from to enhance your WordPress blog. You can turn your blog into an online store with simple plugins. Now I know what you’re thinking, “Uh, I’m going to do the free one, obviously!” But wait, and read what I’ve written next. Although sites like Blogger, Tumblr and WordPress.com allow you to set up a blog for free, they aren’t actually free and you can’t use many of the fantastic plugins created for beginners to enhance their blog. You don’t get a regular domain — Instead of owning your domain name, sites like Blogger and Tumblr will give you a sub-domain name. Doesn’t sound all that appealing, does it? Few options for customization: Blogs hosted on these “free” sites don’t offer much in terms of layouts, theme options or plugins, so you end up with a really boring-looking blog. And if you’re looking to spice up your blog with a premium theme or plugin, be prepared to fork over a hefty chunk of change. ZERO control over the blog: Because another website is hosting your blog, you don’t really “own” it. If the website’s admins determine that your blog goes against their Terms of Service (which change frequently), your blog can and WILL be deleted. In a nutshell, all the time and hard work you’ve put into your blog will disappear in the blink of an eye. You are not able to earn enough money via blogging: Earning money from blogging is easy to do. In fact, many people make a great living from blogging. However, making money on one of those free sites is next to impossible. Things like affiliate links and promoting other people’s products are almost always not allowed on free blogs and will result in the deletion of your blog, in most cases. Even if they are, the site will generally ask for at least a 50% commission of your earnings. And you worked hard for those! However, if money is an issue and you don’t intend to blog for more than a few weeks, then free blogs might be the best option for you. You can also transfer your blog from WordPress.com to WordPress.org. But, having a blog that’s self-hosted (something like squarenoid.com) is the far superior option. You’ll have full control of your blog, you will be able to use any of the thousands of free themes available for self-hosted WordPress users, look professional, and boost your credibility as an authority on your chosen niche. It’s the best choice for anyone looking to get into long-term blogging and earn a bit of money along the way. By the end of this tutorial, you will have your own self-hosted WordPress site, one of the most common, user-friendly sites to have. 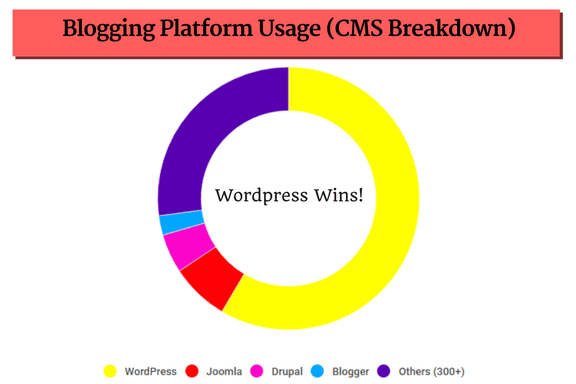 A content management system (CMS) is the easiest way to run a blog and WordPress wins out by a large margin. I’ll show you how to build a website using WordPress the most popular CMS (Content Management System) on the internet. Bonus: By following my step-by-step tutorial I’ll show you how to get your domain for Free and web hosting at a huge discount! A domain name is a web address (URL), a unique name that identifies a website. For example, www.squarenoid.com is the domain name of my blog. Remember the points I mentioned above and choose a great domain name. Web hosting is required to make your website available to be viewed by others on the Internet. 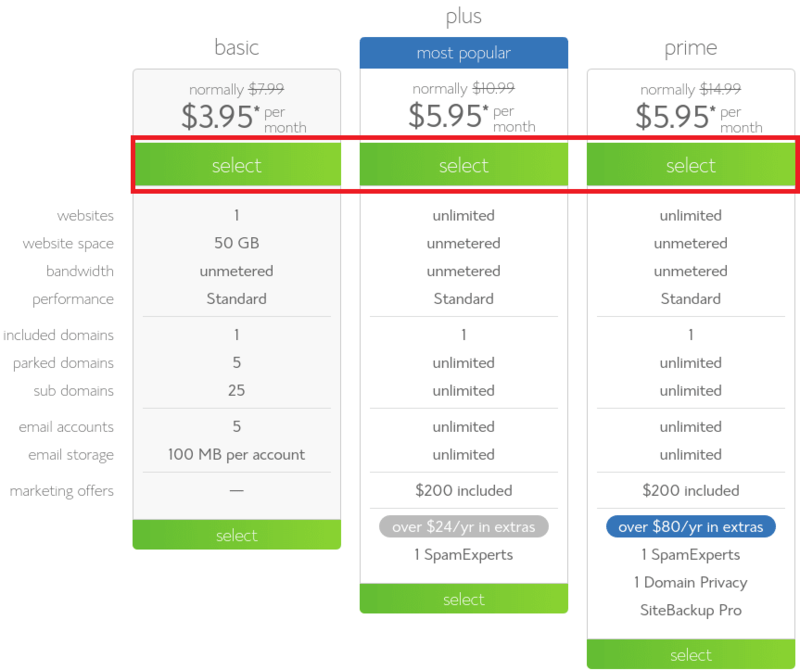 Websites are hosted or you can say stored on special computers called servers. Web hosting provides server space for your site and allows people to find your website on the internet. Still Confused? Read What is Domain Name & Web Hosting in more detail to clear your doubts. It is important for you to choose the best web hosting company for your blog. My preferred best WordPress hosting company and the one I have chosen for this tutorial is Bluehost. It is an award-winning web hosting company, started in 1996 (that’s before Google), one of the largest web hosts collectively hosting over 2 million+ domains. It is the only hosting service that is officially recommended by WordPress & has been at number 1 recommended hosting service for their platform for almost 10+ years. They have website builder that installs WordPress for you in a single click on your own hosting account plus they have incredible 24/7 Phone Support. 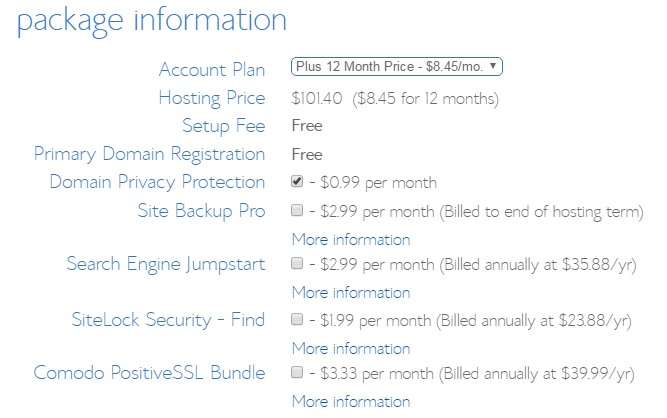 What is even more wonderful about going with Bluehost, is that I have secured a huge 47% discount on the web hosting plus you will get a free domain (usually costs about 10$-15$ per year). Follow the steps given below to successfully get a web hosting and free domain for your blog. As I promised that you’ll get a free domain name following this tutorial! 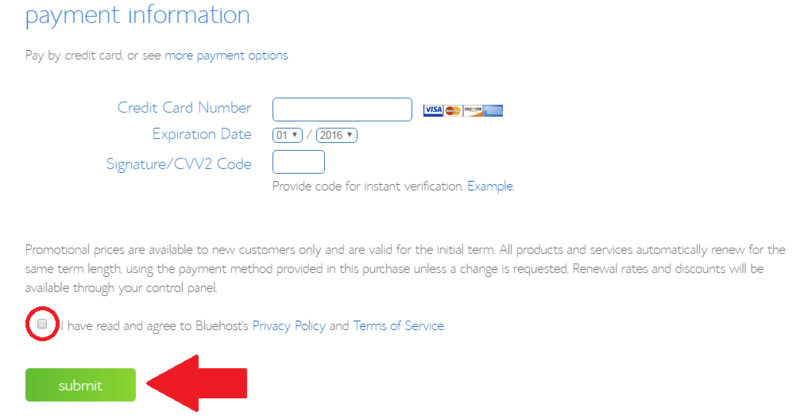 At-last, enter your billing info, tick on “I confirm I have read and agree to the Terms……” and click on “submit” and complete the payment. Finally, you will log into your Bluehost Cpanel and with this, you’ve successfully completed the most important step of this guide. Please note: If you had a hard time or got stuck in one of the steps, contact Bluehost Customer Support and they’ll be happy to help you over the phone or live chat. They are available 24/7/365. You can also check out our Bluehost Review and SiteGround Review. Alternatively, If you get stuck in anywhere, feel free to contact us. Now, sit back relax, take a deep breath and move on to the next step. After the successful purchase of hosting with a free domain name, it’s time to set up your blog. Now we need to install WordPress. 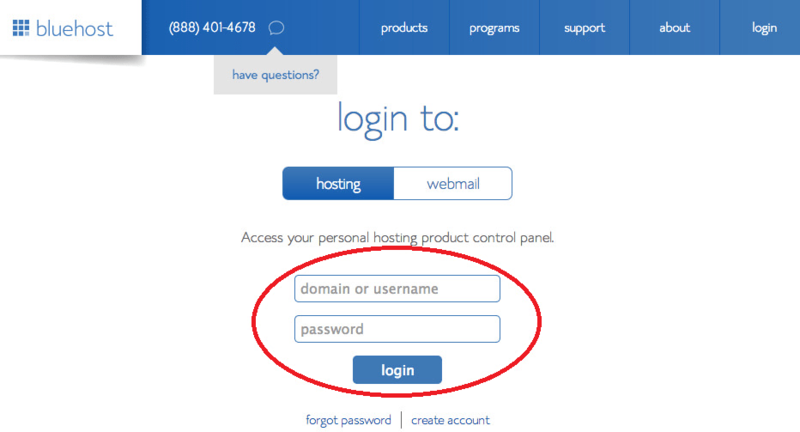 To install WordPress, login to your hosting Cpanel. After you’re logged in to your Cpanel, Find the Website section and click on “Install WordPress”. Now on the next page, you’d be asked to install WordPress. 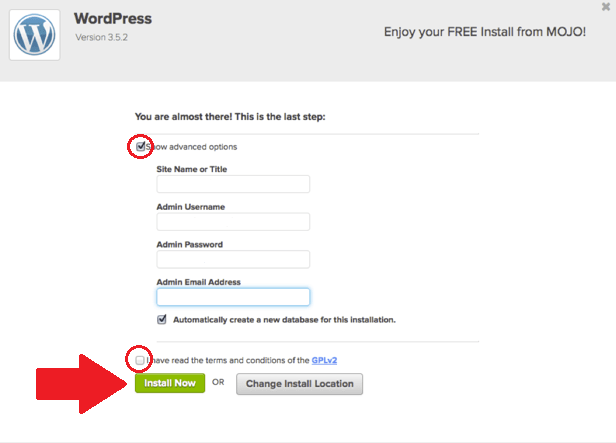 Click the “Install” button to start the WordPress installation process. Next is choose your domain name from the drop-down menu where you want to install WordPress. Leave the directory field empty. Click the box “Show advanced options” and enter Site Name/Title (for e.g. Squarenoid, Mohan’s Blog, Developers Zone, etc.) and in Site Description put a little description something short and sweet. You can edit the email address (all site info will be sent here), username (do not use “admin” as your username) and password for the new WordPress installation. Within a minute, WordPress will be installed and you will see a success message. Note down your WordPress Username and Password as it would be required to log into your WordPress blog. These details will also be sent to you to your email address. Now you can type your domain name into web browser & your brand new blog will appear. Now, let’s log into WordPress. To access your WordPress dashboard you simply need to add “/wp-admin/” (without quotes) to the end of your domain name. For eg. example.com/wp-admin/, replace “example” with your domain name. When you visit the login page for WordPress you will see the login screen. Enter your WordPress username & password and successfully log in to your WordPress dashboard. After you log in to the dashboard successfully you will see the WordPress dashboard. This is where you control your website, design your blog and write your posts. A big Congratulation on taking the first steps towards starting a blog. You’ve now got your very own blog. Doesn’t it feel great? With this, you have successfully completed this step and you’re ready to go to the next step. Finally, you’re at the last step of this Step-By-Step Guide. In this last step, I’ll guide you through the WordPress basics. I’ve named the last step of this guide to Start Blogging as you’ll finish here learning how to about the basics of WordPress, designing your blog and then finally start creating useful content that serves readers. If you already know the basics of WordPress, then go and read How to Make Money Blogging or keep reading the WordPress basics I’ve left the link at the end of the post too. You can completely change the appearance of the blog, all you need is to go to Appearance section. At your WordPress dashboard go to Appearance >> Themes. Choose a theme that’s right for your blog. There are thousand’s of free themes available there. To add a new theme just click on “Add New”. Select your desired theme, according to your needs. If you have a good budget and prefer premium themes over free themes then you can buy Genesis Framework from StudioPress as premium themes has many advantages like clean coded, full support etc. but if you’re just starting to feel free to go with free theme’s as most of them are actually really professional and well made. Want to Start a WordPress Blog with an awesome WordPress theme? Check the list of Top 20 Best WordPress Themes. Once you have found a theme you like, click “Install” followed by “Activate”. Finding the perfect theme can take a while, but it’s worth it. If you don’t find anything good right away, you can always return and search further later on. Theme: About which I just talked about, where you can manage your themes. Customize: Where you customize your chosen theme. By the way, it is a live customizer means you can see the changes made live. You can call this section the most powerful section of the appearance as using this customizer you can directly access all the other tabs (theme, widgets, menus, header, background) in the appearance section except editor. Widgets: Where you can add or remove WordPress widgets. Menus: Create, modify or remove menus of your blog. Header: Manage what image or text is displayed in a Theme’s header. Background: You can Manage the look and feel of background for your theme. Editor: Using Theme Editor you can edit various files that comprise your Themes, which is not recommended until you know what you’re doing as this section needs coding knowledge. Take it easy, for the first time it might look a bit complicated but you’ll get used to it quickly and will laugh later on that how easy it is. Let us explore the basics of the WordPress so that we get to know the basic functions i.e what you can do with WordPress. Once you have installed a theme you like, you can start creating content. Adding new posts and pages in WordPress is again very easy. To add a post, head over to the WordPress dashboard and look for “Posts” >> “Add New”. Here you’ll see the WordPress visual editor where you’ll be writing your content for your audience. By default, there is already a post titled “Hello world!” with one comment on it by the “WordPress Team”. It appears on every new WordPress blog. You can go ahead and delete it, to delete it, simply click “Trash” under the post. All Posts: Manage the list of all posts you have written. Add New: To create a new post. Categories: Create, edit and modify categories of your posts. Tags: Create multiple tags, edit and modify tags of your posts. In order to create new pages such as “About Me”, “Contact us” etc. You need to head over to the WordPress dashboard and look for “Pages” >> “Add New”. To manage all pages, simply go to Pages >> All Pages. If you want those pages to appear on the menu as well, you need to go to “Appearance >> Menus” and add them to the list. To create a new menu, select create a new menu, enter a name for your new menu in the Menu Name box. Click the “Create Menu” button. After the menu has been created, add your desired posts and pages and click “Add to Menu“. Arrange it if you want, then click “Save Menu”. Don’t forget to select the location where you want to display the menu. There is a section between Posts and Pages called “Media”. This is where you can store images, videos like media items so that you can use it in the posts and pages. However, WordPress visual editor has this feature already in it. Below Pages, there is “Comments” section where you can manage, approve and delete comments on your blog posts. Now let’s come to the most powerful section of WordPress. The “Plugins” section. This is the tab which can completely turn your blog into a powerful website or a forum or may be an online shopping store. Plugins: Plugins allow you to further customize your blog, from website builders, contact forms, newsletter signups and tons more. Just click the “Add New” button to browse available options or manually install a plugin. To install a plugin, Go to Plugins >> Add New. Click “Install” to install the Plugin. If successful, click “Activate” plugin to successfully activate the plugin. Where you can manage the number of users on your blog. Here you can view, add, remove or edit the number of users and their info. Since you are new to WordPress, you should add your info by going to Users >> Your Profile and click on “Save”. If you’re a beginner, you can completely ignore this tab. Most of your work can be easily done plugins. Since let me tell you that by default there are two tools already available i.e Import (used to import info like posts, pages, comments) & Export (used to import info like posts, pages, comments). There are some more tools you can check by looking into your dashboard, Tools >> Available Tools. Where you will configure about how your blog works and functions. General: Let’s you control some of the most basic settings of your blog i.e Site title and tagline, your blog’s address (URL), email, membership of your site, new user’s default role, and how dates and times are calculated (timezone) and displayed. Writing: Let’s you control default post category and default post format. 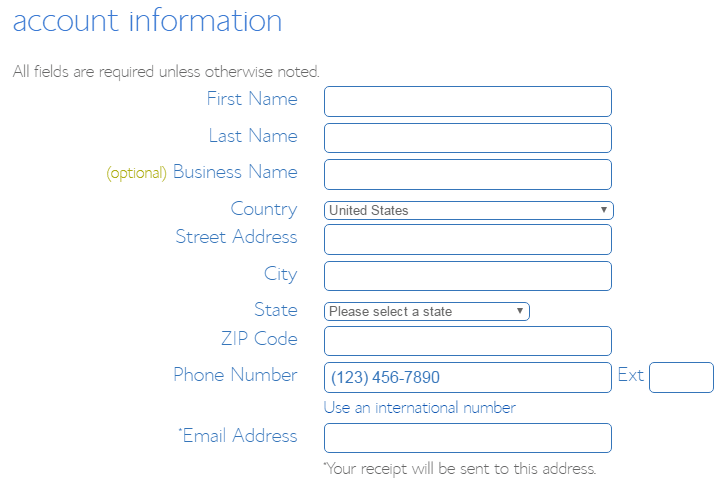 Also optional functions like Post via e-mail, and Update Services. Reading: Control what your homepage displays, how many posts to show on the homepage, adjust syndication feed and search engine visibility. Discussion: Discussion settings allows you to control settings about incoming and outgoing comments, pingbacks and trackbacks. Also lets you control if your blog sends you an e-mail about what’s happening on your site, and also if your blog should show Avatars or not. Media: This setting allows you to determine how media files will be organized when uploaded, also determines the maximum dimensions in pixels to use when adding an image to the Media Library. Permalinks: This setting controls how the custom URL structure of your blog posts and pages is defined. My recommendation is to set your permalink as “Post Name”. With this, we have come to the end of the guide on How to Start a Blog. You can check our Blogging tools & resources page to know what powers Squarenoid. After following each and every step in this guide, you will have a really nice looking blog. You’ve finally started your own blog, Your blog is now ready to launch! Now if someone asks you how to start a blog? Just simply share this guide. Thanks! I hope you found this helpful, keep visiting our blog for more. Wow thank you so much. I’ve been doing research for over three hours. I happen to take a break and get on Facebook. Of course Facebook knows what I’ve been researching and a Bluehost sponsored ad comes up. I decide to skim the comments and I see your LINK. In all the hours I’ve spent researching, your post is the only one that actually broke down how to go about creating a blog on WordPress.org. I was confused but I now feel a sigh of relief. I truly thank you. This is my first blog post on Squarenoid about how to start a blog, Thanks for the feedback! I’m happy to know that it helped you starting a blog. Very well written and detailed post and also waiting for your next post. Thanks & I’m glad it helped you to start a blog. Subscribe to our Newsletter to get notifications of new posts via email. Your article is well written with all the details pertaining to starting a blog. This will be of great help to new bloggers. This is quite possibly the most extensive how-to on the subject I’ve seen. Usually to get all of this information it requires multiple sites, but you’ve got it all in one place. Well done! This is essential for anyone who wants to start a blog! A lot of us start without knowing what to do. I wish I knew these tips last year! Share it with your friends, help them to start a blog.